IIHS Top Safety Pick. Only 21,064 Miles! Delivers 23 Highway MPG and 18 City MPG! Carfax One-Owner Vehicle. Dealer Certified Pre-Owned. This Ford F-150 boasts a Twin Turbo Regular Unleaded V-6 2.7 L/164 engine powering this Automatic transmission. Wheels: 17 Silver Painted Aluminum, Variable Intermittent Wipers, Urethane Gear Shift Knob. *This Ford F-150 Comes Equipped with These Options *Towing Equipment -inc: Harness and Trailer Sway Control, Tires: P265/70R17 OWL A/T, Tire Specific Low Tire Pressure Warning, Tailgate/Rear Door Lock Included w/Power Door Locks, Tailgate Rear Cargo Access, SYNC Voice Recognition Communications -inc: Enhanced voice recognition communication and entertainment system, 911 assist, 4.2 LCD display in center stack, Applink, 1 smart charging USB port, VHR, SYNC services, Bluetooth and steering wheel audio controls, Compass display in instrument cluster, Steel Spare Wheel, Single Stainless Steel Exhaust, Side Impact Beams, Securilock Anti-Theft Ignition (pats) Engine Immobilizer. *This Ford F-150 is a Superstar! *IIHS Top Safety Pick, Green Car Journal 2016 Green Truck of the Year, KBB.com Brand Image Awards. 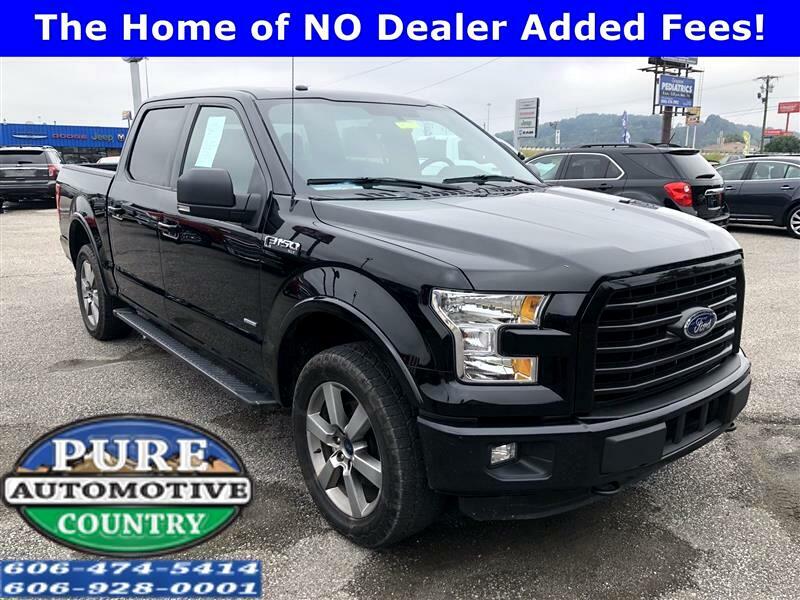 *Visit Us Today *For a must-own Ford F-150 come see us at Pure Country Automotive, 333 C.W. Stevens Blvd, Grayson, KY 41143. Just minutes away! The home of NO Dealer Added Fees!